Jeep has now officially announced the production trim of the Patriot as these photos - which we have a hard time telling are any different than the *cough* concept shown before. Details include an interior that is nigh indistinguishable from the Dodge Caliber and Jeep Compass. Standard power will be from the 2.4l 172hp 4-cylinder that serves as the top engine in the Dodge. In a switch from what we were expecting, the Patriot will be available in front-drive in addition to all-wheel drive (more on that in a minute). We would have guessed that the Compass would have been the only front-drive Jeep on this chassis with the Patriot taking the more Jeep-like high-ground with standard all-wheel drive. Unfortunately, the Jeep marketing folks who just had to have a lower-priced model won out - doing some more damage to the Patriot's angle of being a 'true Jeep'. 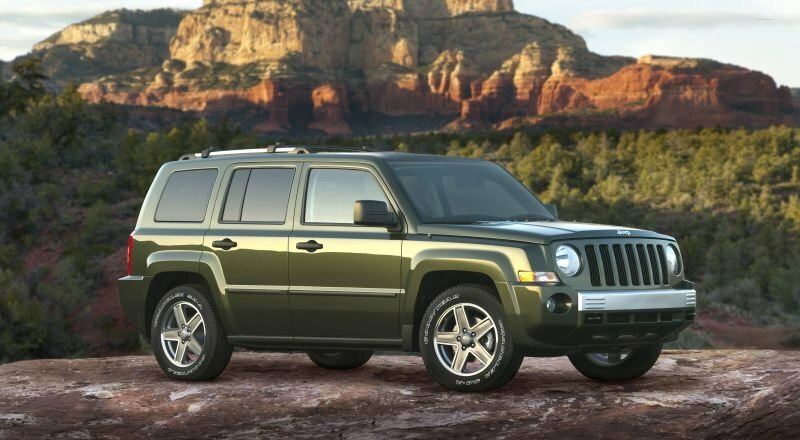 However, in an effort to salvage some of Jeep's credibility - the Patriot will come with both the Compass' all-wheel drive w/ locking differential (known as Freedom Drive I) as well as a harder-core system that uses the CVT to emulate a low range (Freedom Drive II). Freedom Drive II (which to our ears sounds like the dorkiest name for an all-wheel drive system ever) also buys you a Patriot with an additional inch of ground clearance, skid plates aplenty, as well as additional body sealing to give this model a 'Trail Rated' badge and 19" water fording capabilities. Honestly, we would have foregone the front-drive model altogether and given both all-wheel drive Patriot models the additional inch of clearance and let the Compass play to the front-drive market...of course, we'd also have put some faux-metal door handles in the Caliber, Compass, and Patriot - rather than the cheesy textured plastic 'things' that the bean-counters have handed down (it's the little things, guys)...of course, they didn't ask us. 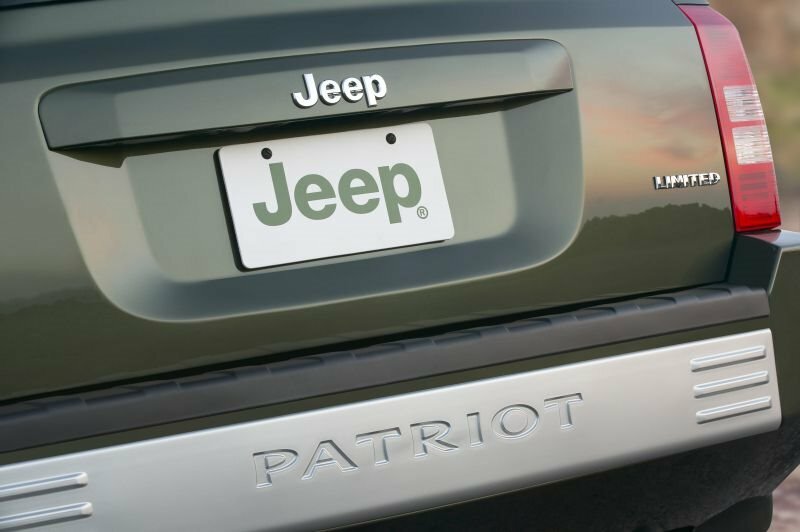 Expect the Patriot to show up on Jeep lots 'round September with around a 16k starting price. The real Patriot will likely base much closer to 20k - still a relative bargain for comfortable, economical, and Trail Rated goodness.